The good news just doesn’t end for Apple. Steve Jobs or no, Cupertino, California’s favorite technology company keeps churning out updated models of hit products time and time again. 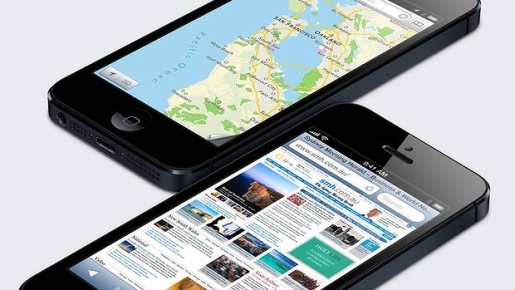 The 4G iPhone sold out in a day by moving 600,000 units; the 4S iPhone sold 1,000,000 phones. The iPhone 5 just absolutely crushed that sales mark and then some. The iPhone 5 sold 2 million phones in 24 hours, shattering Apple’s single-day sales record. That’s a great record to break, but it’s just one record. Apple’s stock also broke another record in after-hours trading on Monday. after news of the huge success of the iPhone, Apple’s stock found unprecedented heights, which is amazing considering Apple is already one of the most valuable companies in the world. Apple’s stock price hit an all-time high of $700 a share, albeit it briefly. The tech company’s stock has gone up 22 percent over the past 4 months as the build-up for the iPhone 5 grew, became official, and then launched. Apple expects to sell over 45 million iPhones in December alone; the iPhone makes up over half of Apple’s corporate profits and will no doubt fund that upcoming Apple dividend.